providing 3PL transportation and logistics facilities all across India. We offers full truck load(FTL) and Container body trucks and trailers from 9Tons to 35 tons respectivley. From over an decade we are experts in handling the edible oils cargo to all over PAN India Locations. We feels extremely prestigious to be transporting partner with almost top brands of edible oil manufacturers in India. To fulfill the basic requirements of the manufacturers, importers and exporters we are ready to serve the full fledged modern warehousing facility for the cargo handling. practising the complete chain of supply chain managment with updated ERP systems. Founded in 2006, United Logistics has become one of the leading logistics management services providers based in Gandhidham (Gujarat), We provides dependable logistics solutions to our esteemed customers. We deliver best-in-class service to each of our customers and ensures that every freight move is optimized and tendered at the lowest cost, meeting service requirements while providing increased visibility through tracking, administration and reporting. Experience, Capacity, Flexibility. United Logistics provides everything your business needs to gain a competitive edge in today’s rapidly changing transportation environment. It is our main core areas of business which we are focusing from one last decade. We are pleased to serve more than 750 Fleets every month to our customers with network of more than 500 Brokers and transportes having more than 5000 Fleets all over India. 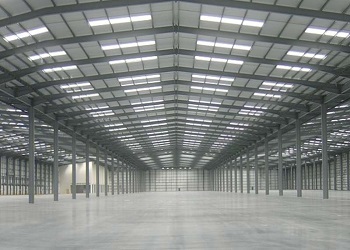 An innitiative from United group to provide Full fledged storages and cargo handling facilities with all the modern amenties like open and shredded spaces, pacaking machine, palletising, pacakging facility, CCTV survilance, racking systems etc. 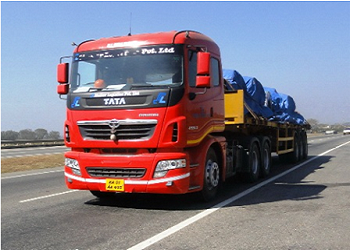 United logistics is a leading transportation company of Kutch. We are dealing in Logistics facilities in road transportation, cargo handling and warehousing facilities. we have Build up strong road network across India with the group of more than 500+ Transporters, Agents and Brokers working across various branches at Alwar, Indore, Jalgaon, Pune, Ludhiana etc. From one decade we are expertising the transportation of edible oil of the india's top manufacturer giants like Adani Wilmar, Cargill India Pvt Ltd, Mother dairy, Louis Dreyfus, Patanjali Ayurved, Ruchi Soya Etc. FTL or full time transportation provides you the long haul facilites with no other destinations and directly to its destinations with ensurity of safety, secure, fast and on time. We are offerings the Open/Closed body trucks and trailers all across Pan India locations, we ensure you to provide best cost effective rates with best available facilities. You can count on us to bring you cost savings and efficiency to every shipment! We drive business forward with our full range of FTL freight options at competitive rates. “We Cargill ind pvt ltd is working with United Logistics for our transportation requirements. They provide us state local and Interstate trucking services and we are very satisfied by the safe and timely transportation services provided by United Logistics and look forward to continously working with them ”. We the group of companies from last 12 years is based at Gandhidham Kutch dealing in Logistics facilities in road transportation, cargo handling and warehousing facilities.